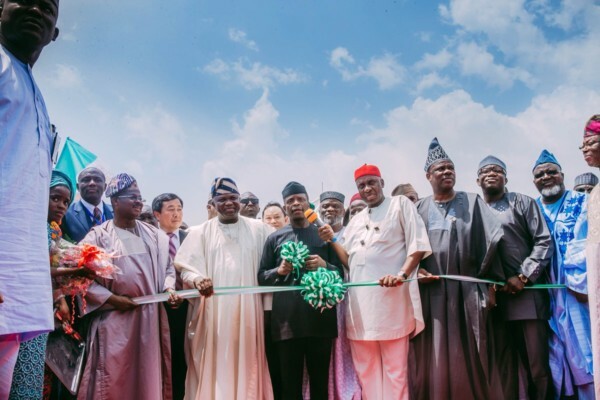 Acting President of Nigeria Yemi Osinbajo has inaugurated the commencement of the construction work Of Lagos-Ibadan Railway Line for $1.5bn. The proposed 156.65km Lagos-Ibadan rail is a double line, which is the first phase of a new Lagos-Kano standard gauge line. The project which is expected to be completed within 18 months has been sanction by the Federal Government. The Federal Government has also released N72bn counterpart funding for the rail project. The acting president on Tuesday said the Federal Government would deliver a fast and efficient rail service between Lagos and Ibadan by December 2018. 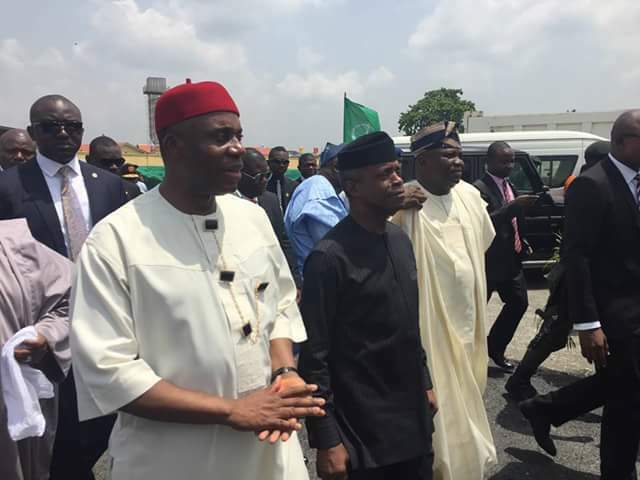 Osinbajo said, “An active and vibrant railway system confers many benefits on the society. Our ultimate goal is to restore a railway culture for both commercial and personal transportation. We are confident that the national rail project will create up to half a million jobs and facilitate the movement of up to 3.2 million tonnes of cargo per annul. Lagos Governor, Akinwunmi Ambode who was also present at the inauguration said “The agricultural sector will receive the long awaited boost as the rail line will be a fast and convenient means of transporting farm produce from the hinterland to the city thereby increasing the economies of these places,” he said.